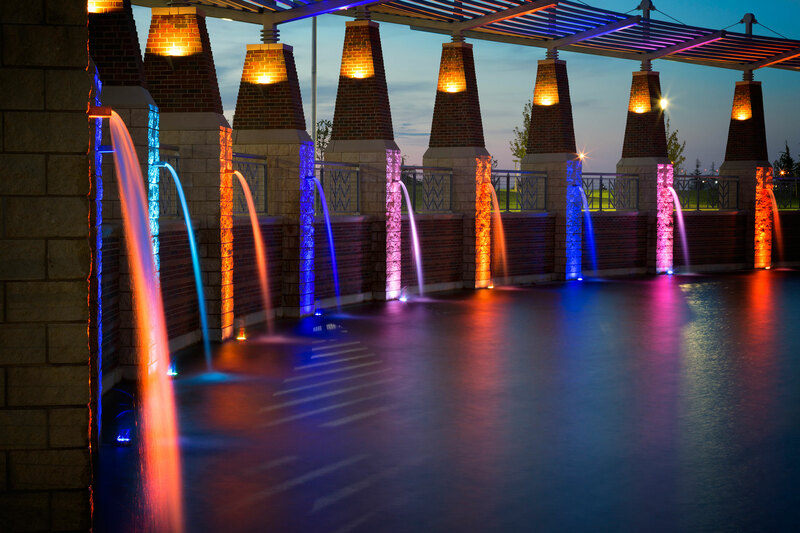 Oklahoma's Legacy Park is the state's most elaborate park revitalization projects to date. Open Tube Scuppers, water cannons and RGB LED fountain lights work together to create a mystical show each night. The scupper is an architectural accent and fountain focal point. 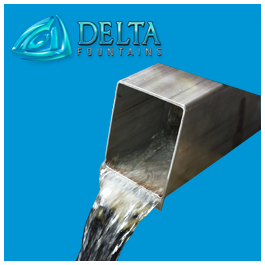 Delta Fountains has more than 20 styles of scuppers, each creating a different look of the water’s flow. Below are the most popular styles of scuppers. 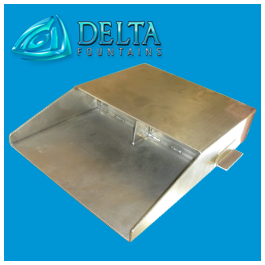 Contact us for more information about the scuppers below or for information on designing a custom scupper for your fountain needs. 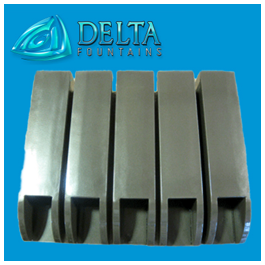 The “V” Style Scupper is becoming increasingly more popular in outdoor fountain designs. 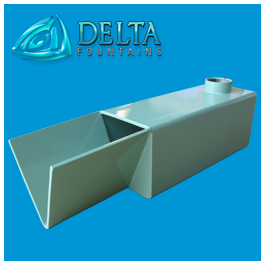 The “V” shape controls water flow from a higher platform, but often has a wider splash zone.This scupper is stainless steel, and can be powder-coated to any color desired. 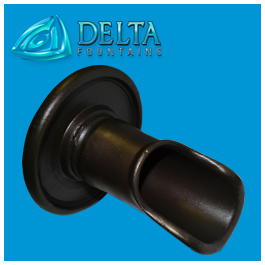 Pipe Scuppers are a classic choice for any water feature. This style can be modified to come cast-bronze or stainless steel to match the aesthetic desired. Spill Edge Scuppers are designed to control a heavy flow of water smoothly over a rounded weir edge. Generally this style allows for a more controlled splash zone. The Modified Spill-Edge Tube Scupper is a twist on the smaller tube scupper. This stainless steel nozzle can be powder-coated to any color desired. 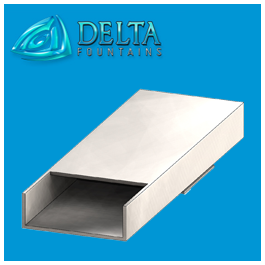 Tube Style Scuppers are a classic architectural fountain nozzle. These nozzles control a smaller stream of water then any of our other styles. Due to their full-enclosure design, these scuppers often have the smallest splash zone then any of our scuppers. 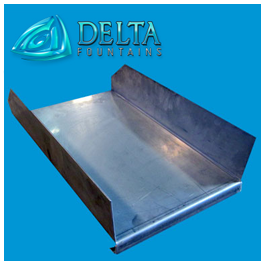 Open Fall Scuppers offer a sleek design to your waterfall. These nozzles can be used for scupper purposes and as small waterfalls. The Open Tube Scupper is meant to be embedded in a wall or pillar, with only the open top exposed. This scupper creates an extremely tight and clear flow of water, capable of little to no extra splash from any height.